I have decided that I LOVE mermaids. This Heather Ross Mendocino fabric, is to die for, especially now that I have seen it in person. Nettie sent this fabric for us to make a improv block, so basically whatever we wanted to make. Easy. I whipped both of these out yesterday while my daughter took a much needed 3 1/2 hour nap. Nettie sent enough fabric so that I could make 2 blocks, she wanted the blocks to be 8" - 14". I made a 10.5" simple block so that I could showcase the mermaids. Aren't they fab?? Then I tried a busy 14" block that would (hopefully) project movement. Those vines around the mermaid I thought gave the impression of seaweed. My favorite part is to the left where the little girl is swimming in the top square into the bottom square, love it. Really cute blocks, Darci. What a fun exchange. So stinkin cute! 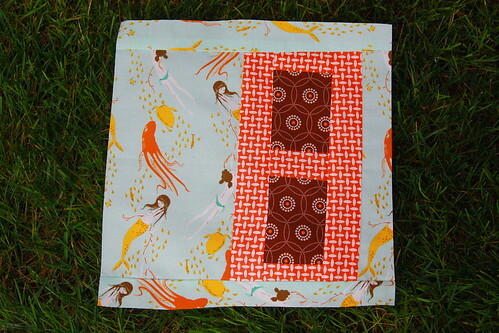 Eventually I am going to enter one of these online quilting bees. it just looks like so much fun! As I said at flickr, this is totally amazing! :) Love the movement. Those are darling. My girl would love them! The colors are all so great together. I love all your creations! 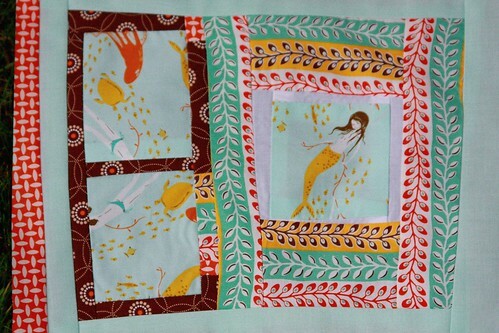 The last mermaid block with the seaweed tendrils is by far my fav!! 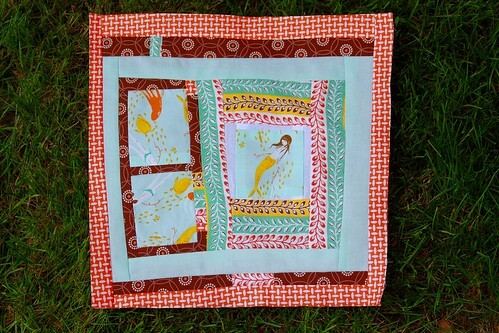 I am in love with that fabric too and I love your blocks. Thanks everyone. 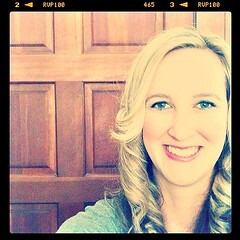 I was really pleased with these.